The Alice Cover Letter Template, one of the most popular in our range, is absolutely perfect for the job applicant who wants to ensure that their cover letter gets noticed, and perhaps more importantly; read. 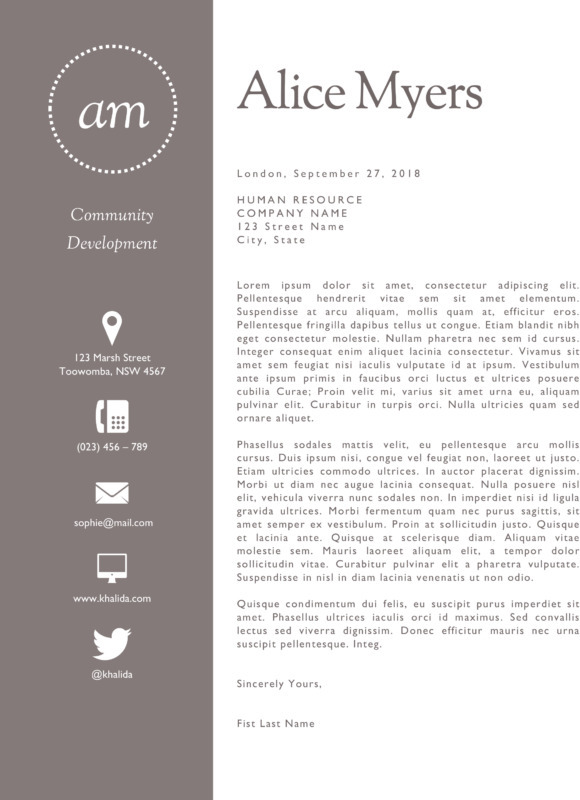 This modern cover letter boasts a rather simple layout. This greatly boosts the chance that an employer is likely to read it. All key information is highlighted clearly for ease of reading. 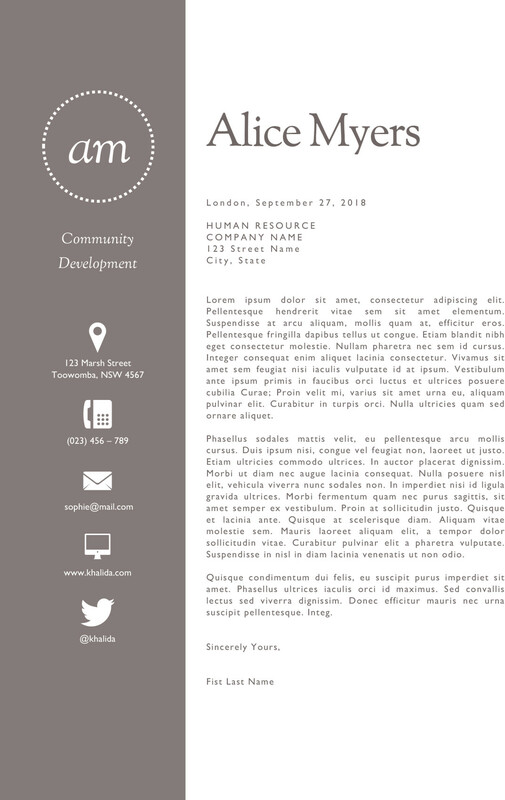 The Alice Cover Letter Template utilizes a two-color approach with no bright colors in sight. This ensures that the cover letter showcases a professional look as opposed to those brightly colored looks that many people use and which most employers do not take seriously. Editing the template is a breeze. All you need to do is load it up in your favorite Word editing program and you will be ‘good to go’.